Great community, great amenities, great staff. I love living here, it's such a great environment. Pet-friendly is a huge plus as well!! Thank you! The experience has been pretty good so far. The utility expenses are not ideal (get charged an extra $35 a month just about every month). My experience with staff has been good so far. I enjoy living here but I would like to see less dog poop on the property. Also, I think you should add more grocery bingo days or days where you order OHOP for the residents! We are so glad to hear your feedback! The community here is definitely a great place to live and we are glad to have you here! have a great day! Thanks Courtney! We can't wait to get our pool open and welcome spring to Orono ASAP! Thanks for your feedback! Check out some of our awesome resident activities going on this month like grocery bingo! Thanks for the feedback Courtney! We can't wait for the warm weather to get here and open up the pool as well! Have a great day! My experience so far at the reserve has been nothing but satisfactory. I think the snow removal process is very well though out and consistent which makes it easy to plan around. Hey Kyle! Thanks for the feedback! We try our best to design the snow removal plan to have the least impact on the residents and we appreciate your positive feedback about it! Thanks for letting us know! See you at the next resident event! My favorite part about living at the reserves (other than living with my best friends and making new friends with the neighbors) is the amenities. I make use of them much more than I thought and I love it! Especially the gym! Hey Allison! Thanks for the feedback about your experience here! We are so glad you are enjoying your community! The amenities are great and super convenient and thanks for letting us know you are enjoying your time here! Really nice apartments. Quick with maintenance responses. Friendly staff. My only two complaints are that they don’t use pet safe salt for the sidewalks, yet market themselves as a pet friendly community and that the electricity bills are so high for everyone I know that lives here. Dear Megan, Thanks for your review of The Reserve! We are so happy you decided to live here and have some nice things to say about our community! We do take careful consideration of resident reviews and will make note of the salt issue and try to implement some additional procedures to protect those paws in the winter time! As far as utilities go, we do have a cap of $35 throughout the winter time to try and minimize the additional costs per month for heating costs to our residents! Pretty good living, the gym is nice and for the most part the apartments are in good condition. We've had a few problems with the appliances but maintenence responded within a day or two. It’s great to live here. It’s a reasonable price with so much included. There isn’t anywhere around that you can get as sweet a deal as this place. Will always recommend the reserve to friends. Thank you so much for your kind words. We think it's great to live here too! Resident satisfaction is something we aim for so your review made our day. Please let us know if there is anything we can do to help you continue to enjoy your home. These apartments are perfect for college life, being so close to Husson, EMCC, and UMaine! Never had any noise complaints and maintenance is quick with their responses. Overall, love it! We are so happy that you're pleased with our community and that you have had a great experience here so far. There are definitely some awesome advantages to living at The Reserve! We've got some great resident events coming up this month so make sure to come by! Thanks Hayhlee! The reserve has been a very pleasant place. The office has answered every question I had and helped me out with the renting process. The reserve made renting easy. Thanks for the feedback Daphne, We are very pleased to have been able to assist you in your leasing process with us! We hope to provide the same experience for all of our new residents! Thanks for the 5 stars! It's really nice having my own bathroom. Maintenance is quick to fix work orders. Outside lighting isn't great at night, can be a bit noisy. The apartment is in really good shape and it definitely worth the price. The amenities are great, but the gym could use some cleaning and upgrading, if not the machines, at least the mats (they’re disgusting). The employees are very friendly and helpful. Thanks. Thanks for your feedback about the community and our staff! We are so glad you feel the Reserve is a good value for the money, and we agree! Also, we have noted your concern about the yoga mats and are excited to get some new replacement ones in shortly! Great place to live with caring neighbors that understand when they are being too loud and you need to study. Had a great time living there this past year! Thank you Sarah! We always encourage feedback from our past residents about their time here, and you seem to have had a great one! The community is a respectful welcoming place for everybody and we are glad your experience was reflective of that! I really feel safe in this community, knowing that it is all students and there are security around the complex. I love the homey atmosphere as well! We really appreciate you taking the time to leave this positive review! We have been thinking about having a resident event like that actually and will try to include it in upcoming activities! Thanks for the feedback! Orchard trails is a decent apartment complex compared to the reserve and the avenue. It has good internet, and some apartments are renovated with nicer furniture and flooring, however some is outdated due to people renewing their lease so it's his or miss per building / apartment. I have enjoyed my experience here so far, to the point where i have renewed my lease for the next term. I hope to come back in between terms to escape my family. Tim, We are so glad you have renewed your lease with us! That's great you think of our community as a refuge from home! Hope you have a great summer! Thanks for the 4 stars! I love having my own bathroom, however my shower never has hot water long enough to take a full length shower (give it 10 minutes max on hot and cooling down every minute after that) The internet can also be spoty but besides that it really is a great place to live! I love living here. Best housing decision I've made, and the perfect place to spend my senior year. Never had any neighbors that were too loud, and I was lucky to have a first floor apartment near the parking lot. Wow! Thanks for the 5 stars Jamie! We are glad you have great things to say about us, and you enjoy your apartment location and community. Thanks for sharing! The apartments are clean and nice, and the staff are helpful with any problems you need! Nice amenities and complex, but there could be a little more parking. 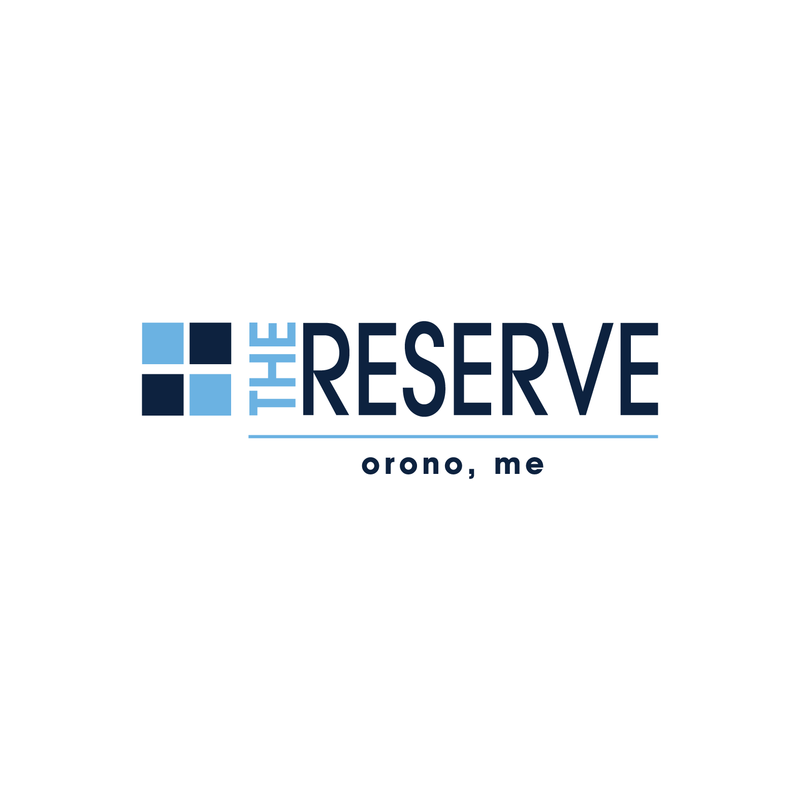 The Reserve at Orono has friendly service, large rooms, and a quiet atmosphere! It has many amenities that are not offered elsewhere for a better price than any other apartment complex. Thank you for choosing us as your home and for taking the time to share your opinion with our future residents. Yes we definitely do offer some great amenities like an outdoor pool, volleyball and basketball court as well as 24 hour gym. We are so glad you like it here and we want to make sure you continue to love your home. If you need anything in the future, please do not hesitate to contact the leasing office. Thanks!